Local boxer Alexis Zazueta practices in Ganaz Apparel with artwork designed by local artist, Gennaro Garcia. In Spanish, “con ganas” means “with effort,” and the co-founders of a local Hispanic-heritage-inspired activewear line, Ganaz Apparel, firmly believe in those words. Máxima Guerrero, 26, co-founder of Ganaz Apparel and organizational leadership junior; and Carla Chavarria, 23, co-founder of Ganaz Apparel; are making their mark on activewear and the Latino and gym communities. Their clothing line is made up of men and women’s t-shirts, sweatshirts, tank tops and stickers. “We wanted to take our culture and the gym culture and bring it together,” Chavarria said. The idea behind Ganaz apparel is a combination of gym slang, “gains,” and the Spanish phrase “con ganas.” Their brand’s name stems from encouraging people to do everything "con ganas," with all possible effort. “People wear our stuff and tag us (on social media) and say ‘I am ready to get up and go to the gym, ‘con ganas,’ to leave it all at the gym,’” Guerrero said. Guerrero and Chavarria first had the idea for Ganaz in June 2016, and the company took off in August. For their launch event, “Tacos and Squats,” Guerrero and Chavarria partnered with Paz Cantina, a local Mexican restaurant turned food truck. Since August, Ganaz has also worked with local artist Gennaro Garcia to create a Dia de Los Muertos skull which is seen on many of their products. This was their first time working with another artist because Chavarria doubles as the main artist for the line. In the future, the co-founders said they hope to collaborate with more artists. Chavarria and Garcia worked together closely on the design, which only took a matter of days. Garcia and Chavarria were introduced through another artist, Joe Ray. Garcia and Chavarria have continued to collaborate on multiple art projects since that time. Garcia is a locally known artist in Arizona and Mexico. The design is a simplistic yellow skull but instead of bones, it is made up of gym equipment. “I wanted to do something easy on the eye to everyone but represent exercise, lifting weights, something that is strong, but at the same time fun,” Garcia said. Garcia said he is happy he had the opportunity to collaborate with Chavarria. Guerrero and Chavarria met through another mutually shared passion. Both got involved in immigrant rights activism in their early adult years. A part of the Deferred Action Citizen Arrival program and DREAMers, Guerrero and Chavarria created their business despite the obstacles of being undocumented. While a student of Scottsdale Community College and Phoenix College, Chavarria walked into her first Suffrage meeting years ago. This is where she met Guerrero. Suffrage was an organization that was made up of ASU students dedicated to fighting for higher education and immigrant rights. Suffrage has since moved on to become a youth-led nonprofit, the Arizona Dream Act Coalition. Chavarria’s inspiration to create a cultural activewear line stemmed from her love of competitive CrossFit and Olympic lifting. As for Guerrero, she said she started working out about three years ago in order to have a “healthier balance between mind, body and soul." Guerrero and Chavarria said they have a long term goal of creating their own gym inspired by Ganaz Apparel. Chavarria said she realized how intimidating the gym setting may be for some people, but she and Guerrero want to change this stigma. They are currently working on collaborating with gyms, trainers, retail spaces and boutiques to sell Ganaz Apparel in more accessible places. Guerrero and Chavarria occasionally sell their products at pop-up shops and outdoor markets, but the activewear can mainly be purchased through their website. Keep up with Ganaz Apparel through its Facebook and Instagram. Correction: A previous version of this article stated that Garcia had never designed artwork for clothing. He had in fact designed his own clothing line before collaborating with Ganaz Apparel. The article has been updated to reflect the change. 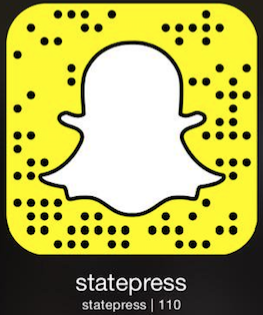 Reach the reporter at lhgoldbe@asu.edu or follow @leahxgoldberg on Twitter.